By the end of this decade the 'Bristol' name had gone with the merger of the airframes side of the business into British Aircraft Corporation and of the engines side into Rolls-Royce, but production still flourished at the factory sites with the build-up of the Concorde project. The conflict which dominated the 1960s was the Vietnam War which galvanised peace protestors at home and abroad. It was also the decade of sexual liberation (in the words of poet Philip Larkin, beginning 'Between the end of the Chatterley ban/And the Beatles' first LP'), pop culture, civil rights movements, hippies and England winning the World Cup. Bristol Aircraft Ltd joins Vickers-Armstrong and English Electric to form British Aircraft Corporation in a government-instigated merger. First tethered hover of Pegasus Vertical Take Off and Landing (VTOL) engine. Sputnik 5 makes 18 Earth orbits. Bristol Siddeley absorbs Blackburn and de Havilland engine companies. First Pegasus transition from vertical take off to flight to vertical landing (P1127). The first non-stop flight between UK and Australia. First man in space. 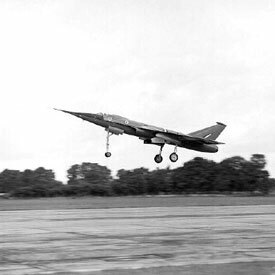 Maiden flight of the Type 188 supersonic research aircraft. Launch of Ariel 1 satellite. BAC and Sud Aviation sign agreement for Concorde project. 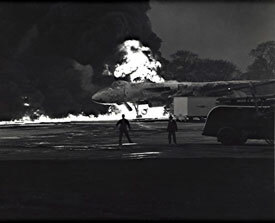 Vulcan runway fire during tests for Olympus engine. First US astronaut orbits earth. Telstar launched. Cuban Missile Crisis. Death of Sir Stanley White. 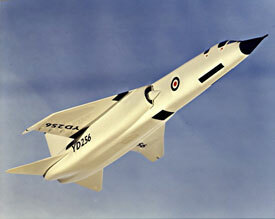 Maiden flight of Type 221, an adaptation of the Fairey Delta used in research for supersonic flight. World land speed record broken by Bluebird CN7 car using Proteus engine. Maiden flight of TSR2, Tactical Strike Reconnaissance aircraft. First female solo flight around the world. Bristol Siddeley merges with Rolls-Royce. First man-made vehicle soft lands on the Moon's surface. First launch of SeaWolf guided missile. Space work transfers from Stevenage. Donald Campbell killed in attempt at breaking water speed record in hydroplane Bluebird K7, powered by Orpheus engine. Boeing awarded contract for design of a US Super Sonic Transport. Apollo I capsule destroyed on launch pad by fatal fire. Maiden flight from Filton of prototype Concorde 002. First Harrier delivered to RAF (Pegasus VTOL engines). Enters service in May. Harrier wins Daily Mail London to New York Air Race. First man sets foot on the Moon (Armstrong). 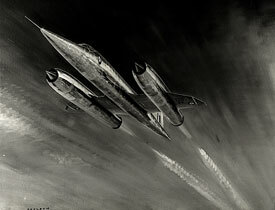 Artist's impression of the Bristol Type 188 supersonic research aircraft (Rolls-Royce Heritage Trust). Vulcan fire at Filton (Rolls-Royce Heritage Trust). 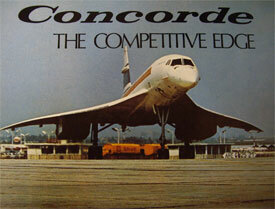 Cover of Concorde brochure (Rolls-Royce Heritage Trust). 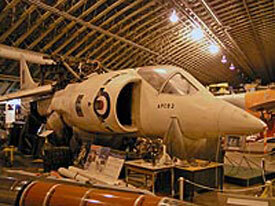 See a Hawker Siddeley Harrier at the Bristol Aero Collection at Kemble. Search the Aviation Archive for images of West of England aircraft in the 1960s.